Official portraits of Michelle and Barack Obama — Eunice Bée, Esq. 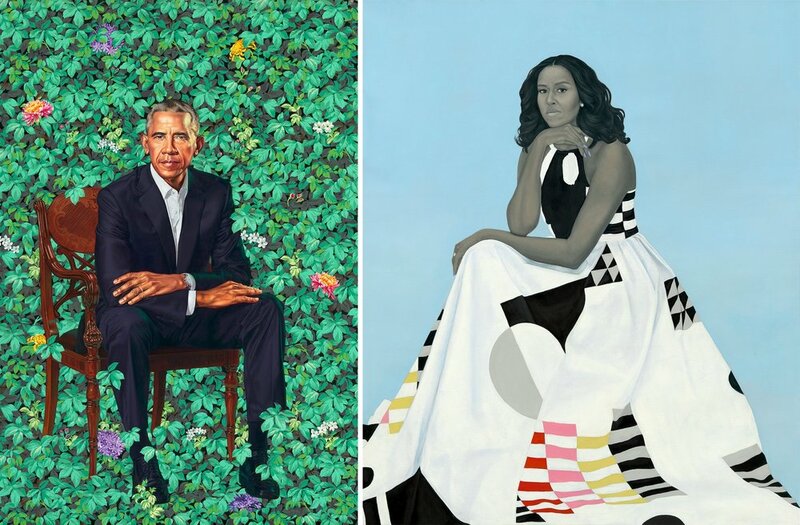 On Monday, February 12 2018, during Black History Month, was unveiled the official portraits of the former presidential couple, Michelle and Barack Obama. The Obamas are the first African-American / Black presidential couple; this is the first time an African-American / Black presidential couple is part of the National Portrait gallery, a part of the Smithsonian in Washington, D.C. Kehinde Wiley and Amy Sherald are contemporary painters, who were never shy of addressing racial issues in their work. This is the second time African-American / Black painters have been selected to paint the presidential portraits, the first being Simmie Lee Knox, who painted the official portraits of Hillary and Bill Clinton (2000-2004). Barack Obama, Michelle Obama, Kehinde Wiley, and Amy Sherald are all part of the continuous Black History that is being made, everyday. This is the only news that matters today.